NBC Bay Area Get the Scoop ice cream truck will be at the outside of AT&T Park on Wednesday, September 13th at the Giants vs. Dodgers game! The truck will host the Bay Area Food Banks to collect donations for Hunger Action Day. The Get the Scoop ice cream truck and the Bay Area Food Bank will table at Lefty O'Doul Plaza from 4:30-7:30pm as fans arrive for the game. 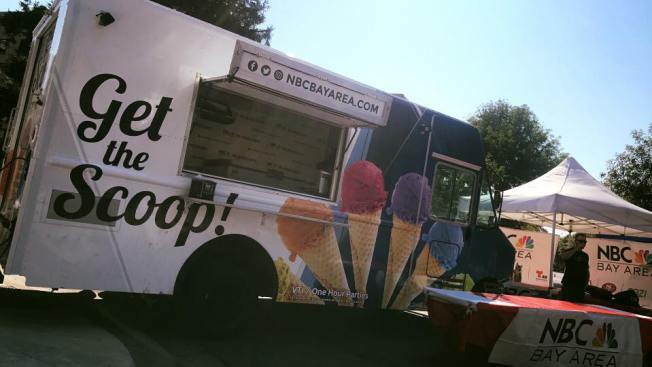 NBC Bay Area's Get the Scoop ice cream truck will be at the outside of AT&T Park on Wednesday, September 13th at the Giants vs. Dodgers game! Stop by and grab a treat from Today in the Bay's Laura Garcia-Cannon, Marcus Washington, and Mike Inouye. The truck will host Bay Area Food Banks to collect donations for Hunger Action Day. The Get the Scoop ice cream truck and the Bay Area Food Bank will be located at Lefty O'Doul Plaza from 4:30-7:30pm as fans arrive for the game. To learn more about Hunger Action Day, September 14th, click here.